2019 California International Airshow Tickets on Sale Now! 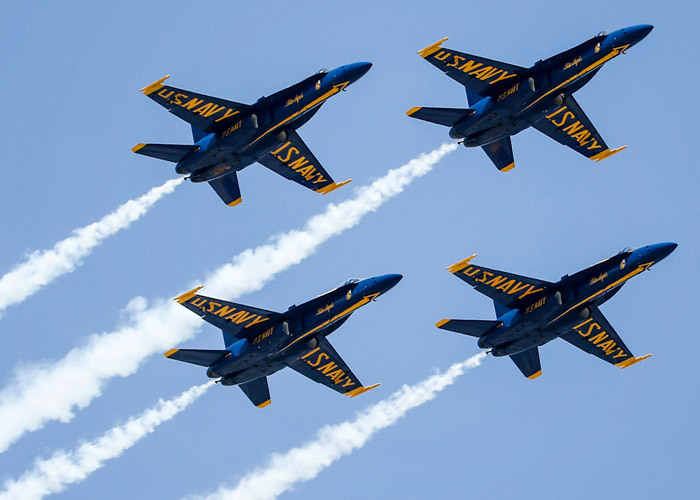 The Blues R Back… The United States Navy Blue Angels Flight Demonstration Team will headline the California International Airshow at Salinas on March 23-24, 2019. Tickets are now on sale at www.salinasairshow,com or call (831) 754-1983. The Blue Angels will perform their “high energy” aerobatics over the skies of Salinas during the 39th Annual Airshow and the first in the Spring time at the Salinas Airport. There will be a full line up of other military and civilian performers along with static displays for families to enjoy. The California International Airshow is one of the best “community based” non -profit air shows in the Country that has raised over $ 8 million for local charities since its inception in 1981. Buy your tickets now at www.salinasairshow.com. Don’t wait because ticket prices go up Jan 1, 2019.